First came the cat, and now it’s the mouse! 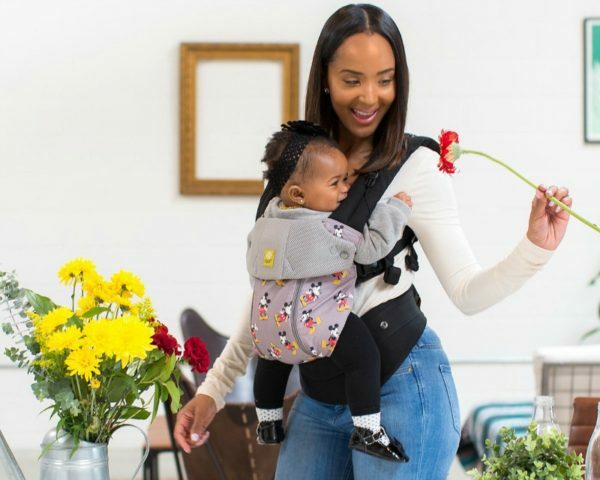 If you haven’t already snapped up an Ergobaby Hello Kitty baby carrier then hold onto your ears, because Disney and LÍLLÉbaby have just released three new carriers featuring Mickey Mouse — perfect for your mini Mouseketeer! There’s not much Mickey Mouse hasn’t featured on, but for those who have recently fallen pregnant or have recently welcomed a baby, there is now a new reason to get excited, because the iconic mouse has made his way onto a range of stylish baby carriers. Mickey Mouse Complete Airflow: A lightweight, ventilated mesh carrier with a grey traditional print featuring the famous mouse himself. Mickey Mouse Complete All Seasons: Another lightweight option made from sturdy canvas cotton in the same bold grey Mickey print – perfect for devoted die-hard Disney lovers. Mickey Mouse Icon Embossed Complete All Seasons: A completely new carrier design featuring soft microcloth in bright red with an embossed, subtle Mickey Mouse silhouette pattern. There are mini carriers too! Not just for mamas and papas! Your bub’s siblings will love popping on their miniature replica Mickey Mouse doll carrier and snuggling up close to their favourite teddy or doll – just like you. You can get your big white gloves on the new Mickey Mouse baby carrier collection online now from either lillebaby.com or shopDisney.com. Adult carriers range from around AUD $200-$250 with the doll carrier around AUD $45 (plus shipping). There are also plans to release even more LÍLLÉbaby carriers featuring all your favourite iconic Disney characters, so keep calm and stay tuned.